Welcome to Chroma USA, Inc.
A decidedly reasonably priced debut to the world of extremely sharp knives - The CHROMA TAKUMI knife Series. The handle of the CHROMA type 301 - Design by F.A. Porsche is constructed of stainless steel, and the blades also. A high quality low price knife made of ice hardened steel, forged with the traditional Japanese "V" edge. The Damascus line is made in Japan with unbelievably sharp blades made of 32 layer Damascus VG-10 core steel. HAIKU YAKITORI is a inexpensive knife good quality. Handle is made of plastic and the blade is made of X 50 Cr 15 . 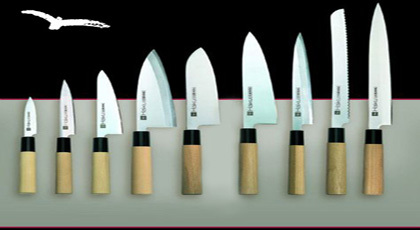 Kasumi Titanium coated kitchen knives are manufactured in Japan and are made from the finest materials! Gorgeous knives with blue or gold blades. 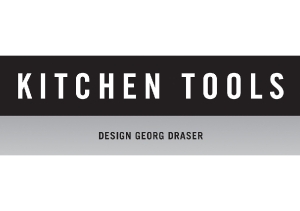 ProChef USA made from highest quality 420 HC Stainless steel blade. 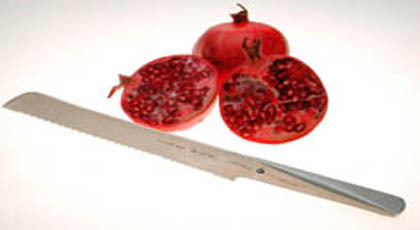 Ceramic Knives are modern, innovative and improves your culinary experience! 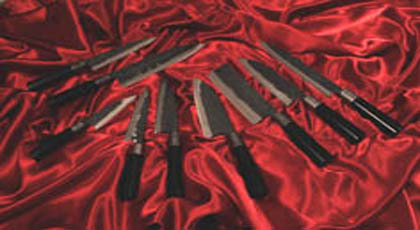 Robert Irvine knives made from highest quality stainless steel blades. Black 3 rivet handles! 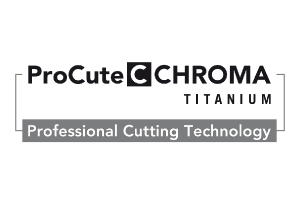 Titanium Spice Cutter guarantees optimal form, high-precision workmanship!